An organic foods group says allowing kratom would be "dangerous," the Drug Policy Alliance comes out with a plan for heroin and prescription opioids, Iowa shuts down its asset forfeiture unit, and more. Virginia Marijuana Arrests Plummet. Marijuana arrests have dropped 14% in the state over the past two years, the largest decline this century, and they appear headed for further declines this year. Changes in prosecutorial priorities appear to be behind the fall, with some prosecutors saying they need to husband their resources for felony prosecutions. Drug Policy Alliance Releases Public Health and Safety Plan to Address Problematic Opioid Use and Overdose. The Drug Policy Alliance, the nation's leading proponent of drug policy reform, is releasing a plan to address increasing rates of opioid use and overdose (now the leading cause of accidental death in the United States). The plan marks a radical departure from the punitive responses that characterize much of US drug policy and instead focuses on scientifically proven harm reduction and public health interventions that can improve treatment outcomes and reduce the negative consequences of opioid misuse, such as transmission of infectious diseases and overdose. The plan has 20 specific recommendations, including establishing safe injection sites, moving ahead with prescription heroin (heroin-assisted treatment), and embracing Law Enforcement Assisted Diversion (LEAD) to keep people out of the criminal justice system and bring them in contact with social services. 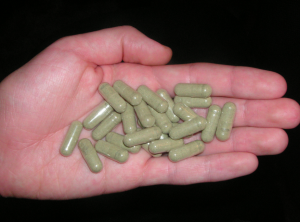 Natural Products Association Says Allowing Kratom Would Be "Dangerous." The largest trade group representing the organic and natural foods industry and dietary supplements makers has commented on the DEA's proposed ban on kratom, saying that "adding kratom to the US food supply could likely be dangerous and lead to serious unintended consequences." Kratom products have not met the strict standards for new items to be marketed to the public or undergone FDA approval, the group said. "Adding an untested and unregulated substance such as kratom to our food supply without the application of longstanding federal rules and guidelines would not only be illegal," said Daniel Fabricant, PhD, NPA's CEO and executive director. "It could likely be dangerous, leading to serious unintended consequences as our nation struggles with the crisis of opioid addiction." Iowa Disbands State Asset Forfeiture Team, Returns $60,000 Taken From Travelers. Under increasing fire over asset forfeiture practices that saw a thousand seizures a year, the state Attorney General's Office announced Monday that the Department of Public Safety had disbanded its Interstate 80 drug interdiction and forfeiture team. The move came because of increased personnel demands and the need to focus on reducing traffic deaths, the office said, and had nothing to do with the recently announced settlement of a lawsuit brought by a pair of California gamblers who had $100,000 seized after they were stopped and a small amount of marijuana was found. That settlement resulted in the men getting most of their money back. Justice Department Probing Possible Criminal Charges Over Atlanta DEA Informants. A DEA official told a congressional committee last week that the agency has referred "potential criminal charges" to the Justice Department over an Atlanta DEA supervisor who allegedly was in sexual relationships with two informants, one of whom was paid $212,000 for helping to bust four St. Louis drug traffickers. There are allegations of false documentation of payments to the snitch, who got $2,500 a month for two years, along with two "bonuses" of $55,000 and $80,750. The monthly payments apparently covered the rent for apartment near the DEA supervisor's home in the Atlanta metro area.